Living together in a small house is not easy. 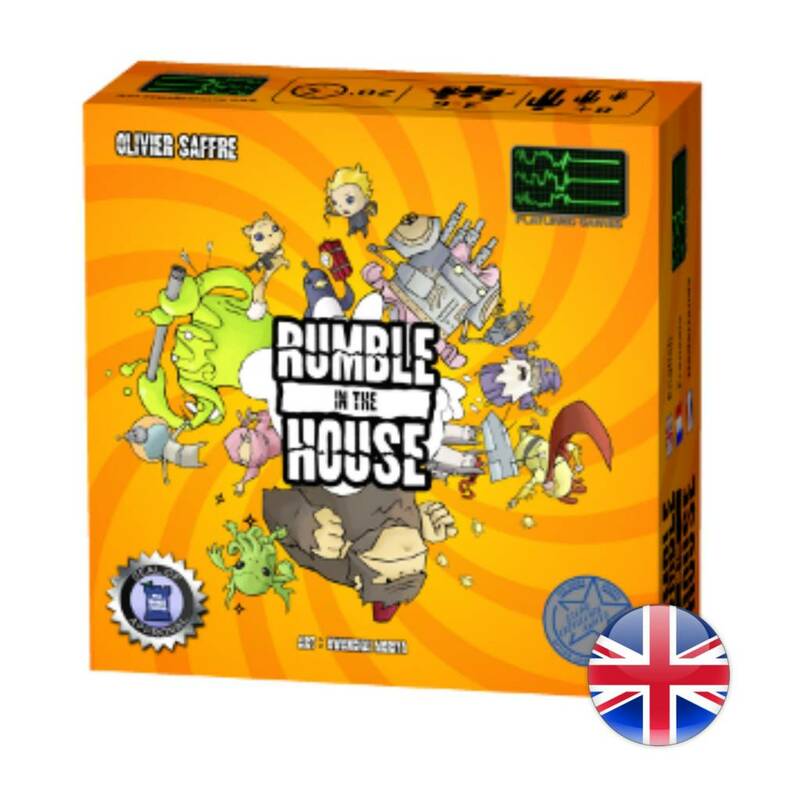 When the pressure is too high, it’s time for a big rumble in the house! 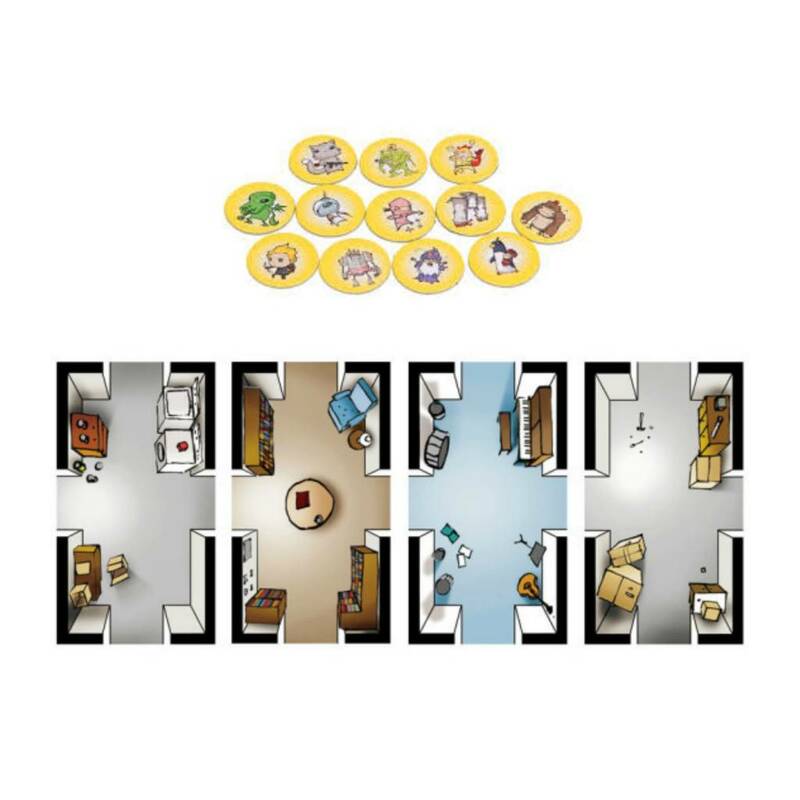 On your turn, either move any character alone in a room to an adjacent room, or eliminate any character from a room with several characters in it. When there’s only one character left in the game, reveal your secret identity and score points for being in the game the longest. Try to guess who is who without revealing too much about your secret characters, and keep them alive in the house as long as possible! That simple. So evil. Just fun.